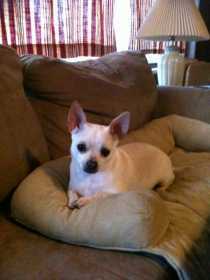 Cream colored chihuahua, female..Missing since 1/7/19. Grove Park Dr N Orange Park, FL area. Skittish around strangers. She is microchipped.